Are near death experiences just hallucinations due to the final release of hormones or is it a way to prepare your “soul” for the next journey? What do you think? Olivia Wilde is a damn pretty woman, but I sure wouldn’t date her after she’s been revived! I’d be too scared to be eaten alive! The film will be released on February 27, 2015. So they injected some sort of anti-death serum to that girl (who was really dead, like brain dead?) hoping to bring her back from the dead. But the girl came back with the devil in tow? Then I guess it’s better to stay dead, or even not to die at all, LoL! Just looking at her am scared! May God save us from the devil! 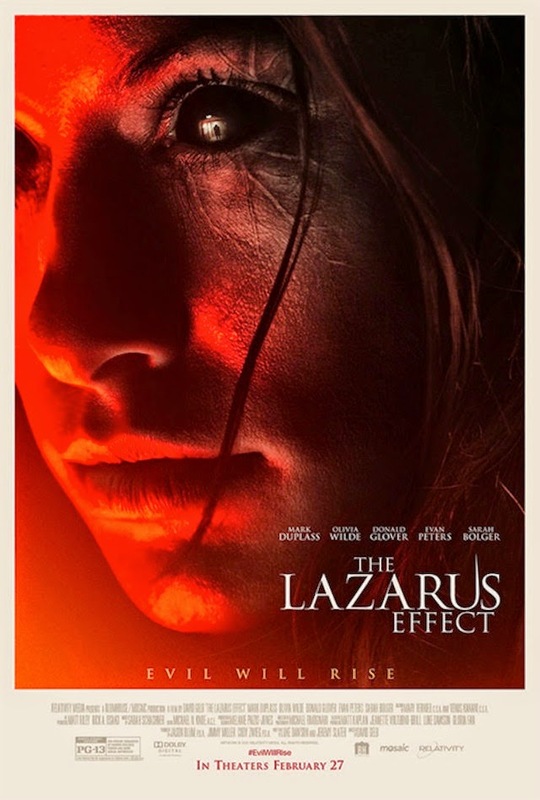 The release date of The Lazarus Effect is set to February 27, 2015. Where does the deadly force come from? Is it some inner demon? The plot kind of reminds me of The Quiet Ones… Let’s hope it will be different, and better! Besides Olivia Wilde, the cast also includes , Mark Duplass, Donald Glover, Evan Peters, and Sarah Bolger. The release date of Lazarus is set to January 30, 2015.